Yesterday was a very special day for me and for my family. 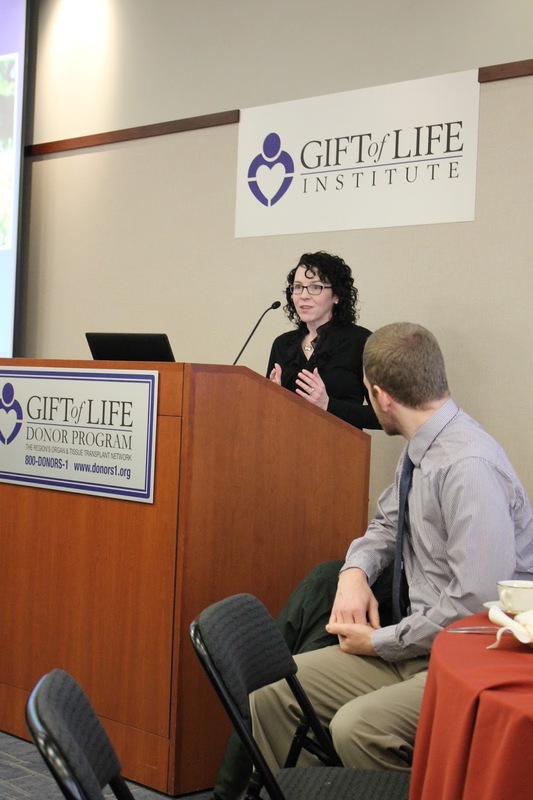 I was honored to be invited to the Gift of Life Donor Program in Philadelphia to speak at their annual employee "Thanks For Giving" luncheon. 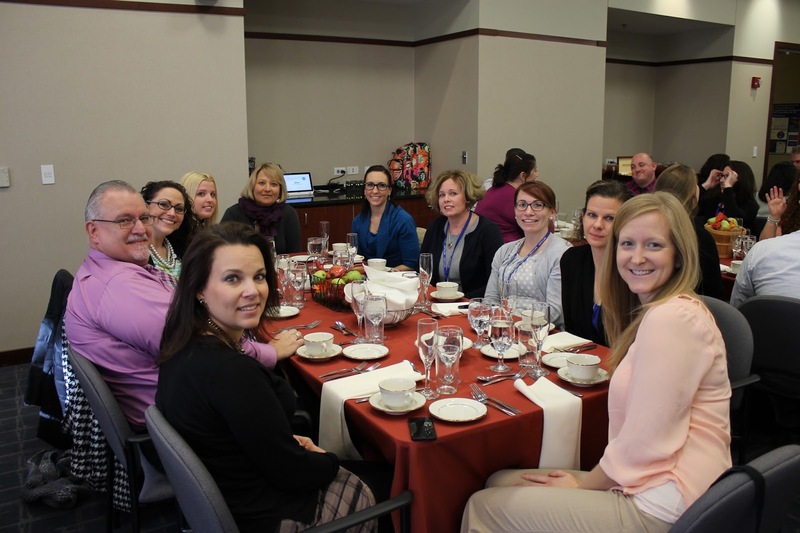 The management serves a full Thanksgiving meal to all the staff to thank them for all that they give to the organization throughout the year... and they like to get a donor family and a recipient to speak. It's a great way for those who may not come in contact with families or patients to connect to the true purpose of their work. 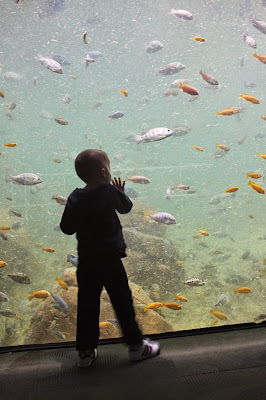 I was happy - albeit terrified - to talk about one of my favorite topics: Gavin. I was lucky to have my Mom and my sister, Bean accompany me and Hope. Ed was working and I didn't want to take Brian out of school. The other speaker was a professor from Temple, Jay Bagley, who was accompanied by his wife. Jay received a kidney and heart valve transplant and is doing remarkably well. Also in the photo is Howard Nathan, President and CEO. When we arrived at Gift of Life and I rounded the corner into the banquet room, my stomach flipped. There had to be a few hundred people there!! The nerves definitely kicked in. But, as many of you know, the chaos of a toddler who is curious about everything (especially a fancy dining table with lots of china, silver and crystal - eek!) doesn't really give you much time or energy to think, let alone focus on nerves. I started by thanking everyone who works for Gift of Life. "Whether you are an administrator, a receptionist, work directly with families or patients, drive for the family house or clean the bathrooms... each of you are responsible for helping to keep the lights on here. Which means that each of you are directly involved in helping patients and families receive the gift of life. That's an incredible thing. So, as a Mother of a donor... thank you." 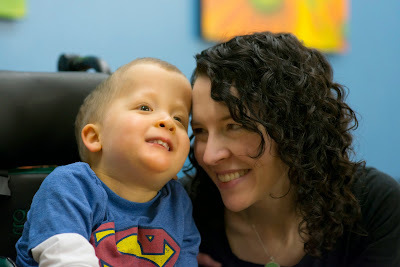 "Gavin is continuing to change people. Help people. Heal people's hearts... including ours. Choosing to donate his organs was the easiest and most difficult decision we have ever made. 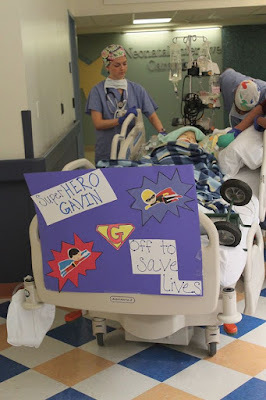 Gavin was a helper and a healer his whole life. To selfishly keep him from continuing to help and heal would not have honored him in any way. 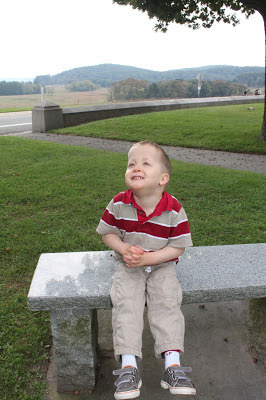 We told ourselves early on that we wouldn't have any expectations when it came to the recipient of Gavin's two kidneys. I have a personal philosophy about gift giving of any kind. If you're giving a gift, it should be because you want to give the gift. If you give a gift laden with expectations - whether it's a thank you note, recognition, an equal gift in return... you will almost always be disappointed. So instead, we turned our attention to donor awareness and I continue to tell Gavin's story. Every time I get an email or someone tells me that they became an organ donor because of Gavin's story - or that they had the conversation about "what if something happened to one of our children" with their spouse - every SINGLE time I feel like Gavin saved another life. This little boy - who never uttered a word! He continues to help and heal." "Gavin was officially pronounced dead on April 14, 2013. My 43rd birthday. We were told that we'd have to wait for the transplant teams to be in place which ended up being the next afternoon. I sincerely mean this - it was truly a privilege for us to wait with our son. Ed and I could just picture a family getting the news that an organ was found. It brought us great joy in a very dark time." "When the O.R. team came for Gavin, I walked out into the hallway, closed the door and pointed to pictures we had taped to his hospital room door before I let them in. 'This is Gavin,' I told them as I pointed to a picture of him standing tall and proud. 'He is our son. He just started to walk, you know. That wasn't supposed to happen. And this is his brother, Brian, who loves him so much. 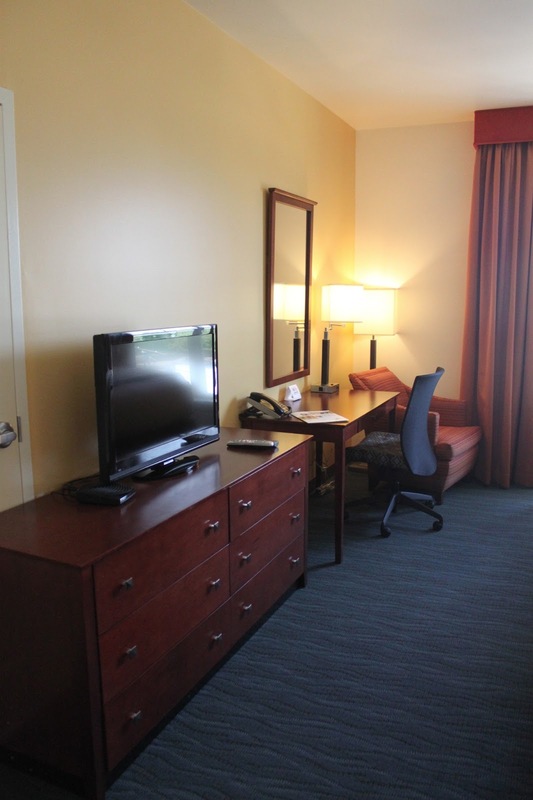 The group of them respectfully walked into our room and began to prepare him to go. Next thing I knew, they were wheeling Gavin out of the room. We walked behind slowly and soon heard a slow clap. And as we continued down the hallway we saw doctors... nurses... respiratory therapists... aides... cleaners... all lined up. They were clapping for our superhero and for the gift they knew he was about to give. We fastened this exact sign onto the foot of his bed - "Superhero Gavin - Off to Save Lives." Because you see, Gavin isn't a hero because he's a donor. Heroic describes his whole journey up to that moment. And heroic describes his legacy that continues to this day. Thank you for letting me share our story." It's always hard to tell this story - but it is so important. I will always be Gavin's voice and I don't take that lightly. "I was told that the transplant coordinators that helped us with Gavin are here in this room. I can honestly tell you that I couldn't pick you out of a lineup. Ed and I were talking just last night and we couldn't remember if you were men, women... anything. But to be honest? That is how it should be. The more you work to generate awareness about organ donation... and the more we share our story... then these transplant experiences will be seamless. Just a small part of the story during those difficult days." I was able to talk to the three women (there was also another woman and one man that weren't there) and they took what I said as a huge compliment (whew!) because that's what they hope for. We chatted for a bit and they filled in the missing parts of my memory. I was so grateful to see them, which of course brought back the memories of our time with them. And I will always be grateful for the hours and hours they sat over days and days - combing through every inch of Gavin's mountain of medical records. The process is so careful and thorough, ensuring that a transplant recipient gets a healthy organ. It was really a profound experience getting to see them again. In a perfect world, organ donation is a given. Everyone's on board and there are no last minute decisions on the worst day of someone's life. That is the worst time to expect to make a rational decision. In a perfect world, conversations happen early and often - wishes are made known on licenses and to loved ones. In a perfect world, myths about organ donation are non-existent. It's a good thing I am an idealist, because I believe that we can one day attain this lofty goal... one person at a time. 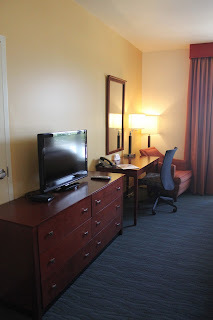 There are a few small way that you can help me with my lofty goal! If you aren't an organ donor, please consider it. You can google "How to become an organ donor" with your state or country and you'll find instructions wherever you are. Many people think they are not qualified to be an organ donor - but most of them are misinformed. There are lots of ways to give life. Giving tissue means that your corneas can help someone see... or your skin can help someone heal... or your bone and connective tissue can help someone walk... and your heart valves can help keep people alive - from infants to the elderly. Did you know that you can still have an open casket no matter what organs are donated? And did you know that you can die at home and still be a donor of tissue and eyes? Did you know that cancer does not necessarily mean you can't be a donor? And that it doesn't matter how young or how old you are! Also, please have the hard conversation now if you have children. It is a hard conversation - but believe me when I tell you that this is not something you want to consider for the first time on a tragic day. And, as we all know, death waits for no one. One word of advice - this is not something that anyone can be pressured into. It should never turn into an argument. Plant a seed and you can revisit it at a later time if you and your spouse vehemently disagree. But as a Mom of a child who died... believe me when I tell you this... organ donation has been a great comfort to me. I don't need to hear from or know anything about the recipient and it is still a comfort to know that my son is still saving lives. There are two seemingly unrelated - but very related! - ways you can help me! This Tuesday, December 1st, is "Giving Tuesday" - a global day dedicated to giving back. A day that charities, families, businesses, community centers, and students around the world will come together for one common purpose: to celebrate generosity and to give. I have decided to take a 40 hour fundraising challenge to raise money for the Gift of Life Family House! Why 40 hours? Because 40 is the amount of dollars it costs for a family to spend the night at the Family House. When transplant patients and families come to Philadelphia to seek medical treatment, the Gift of Life Family House is like a "home away from home" for them. They can stay at the House for just $40 per night and sleep comfortably in a beautiful room - one of which is named after Gavin! "Endless hours, false hopes and the patience to persist are just some of the trials faced when transplant is the only answer to a life-threatening diagnosis. Many challenges are encountered by transplant families - and homelessness should not be one of them." You can visit the page I set up on "Crowdrise" HERE. I will be posting reminders leading up to Tuesday when the fundraiser starts at 8am. It will end on Wednesday at 11:59pm. ANY amount you give can help a family who is waiting for their second chance. 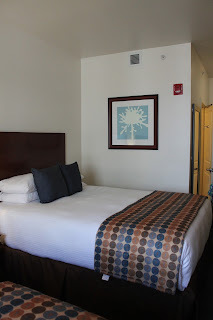 $2.00 - $5.00 - $10.00 - you can even "adopt" a family for a one night stay and give $40.00. 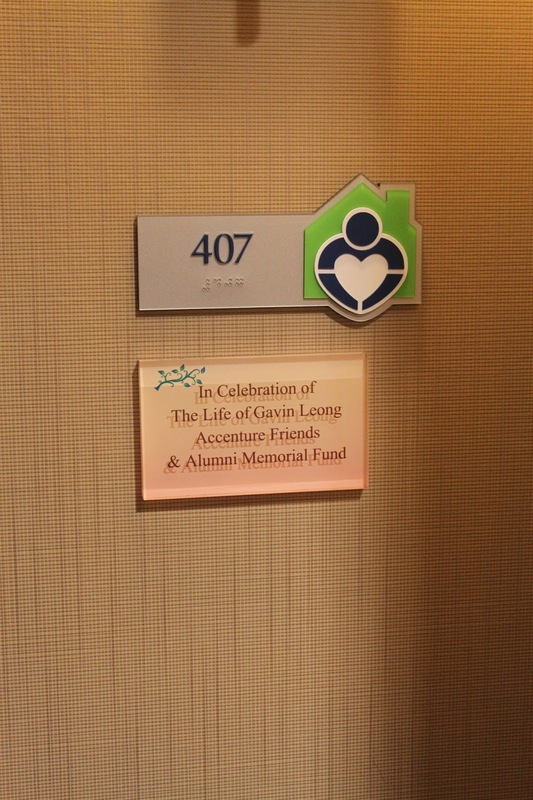 I would love to be the top fundraiser as a way to celebrate Gavin... who always celebrated life. I told you some time ago that if any paid opportunities came my way and they could help me make money for any of my charities - I would selectively accept. Well - I have accepted a great opportunity that will allow me to jump start my 40 hour fundraiser with a generous donation! And... I will be able to give away a prize to TWO of you! I will be working with K-Mart on two occasions to help them bring back the "Blue Light Special!" For those of you too young to remember the Blue Light Special - each day they will announce - on their website or on their app - an item that is deeply discounted for a limited time. I just checked today's and it was for a toy that was half off! I will be sharing my experiences live from inside a local store this Friday, November 27th, on Periscope - and will share it to Instagram Facebook and Twitter. One of you watching will win a hundred dollar gift card! I will also be back on December 20th when I will be giving away another hundred dollar gift card! (I'll share those details as it gets closer) If you don't have Periscope, you can download it to your phone and follow me at @chasingrainbows. You can follow me on Twitter @kateleong. You can follow me on Instagram @kategavinsmom and if you're not following along on the Chasing Rainbows Facebook page, you're missing out! 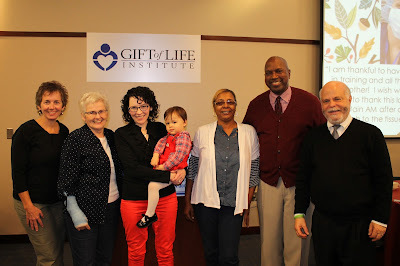 Thank you to the Gift of Life Donor Program and the Gift of Life Family House for inviting me yesterday... and for always making our family feel like, well, family. And thank you to all of you for your support as I aim to support the charities that mean so much to our family. Gavin's legacy will never die!! Kate, I continued to be moved by Gavin's story. Every time you talk about the hospital staff cheering for him, I am moved to tears. He and you continue to be inspirations. Thank you for continuing to give back.